Columbia – April 11, 2017 marks the 20th anniversary of the Murphy & Grantland law firm in Columbia. On April 11, 1997, J.R. Murphy, a former University of South Carolina soccer letterman, and John M. Grantland, a former Marine Corps Judge Advocate, set out on their own. 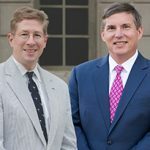 Since then, M&G has grown from a van and handful of civil defense cases to a 22-attorney law firm that defends businesses in the South Carolina mountains, along the Palmetto state coast, and everywhere in between. Murphy & Grantland’s high regard within the South Carolina legal community is evident. Within the past year, John Grantland has been selected as the recipient of the S.C. Association for Justice’s 2017 Worthy Adversary Award and the Richland County Bar’s 2016 Matthew J. Perry, Jr. Civility Award. 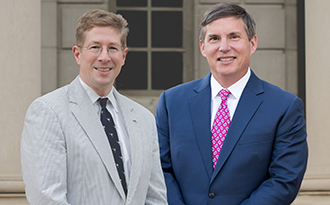 Attorney Anthony Livoti became President-Elect of the South Carolina Defense Trial Attorneys’ Association (SCDTAA) while Adam Neil was elected as member of the association’s Board of Directors. And J.R. Murphy was elected as a Fellow in the American College of Coverage Extracontractual Counsel (ACCEC).